Flawless by Friday's new makeup line, Flawless in Fifteen. Canadian skincare brand Flawless by Friday has launched at the Concept pop-up space at Toronto’s Yorkdale Shopping Centre. Dubbed “0.6 x Flawless by Friday”, the pop-up will run until July 31 and features the Female Founders Market, which includes more than 50 female-run Canadian businesses curated by Flawless by Friday. The brands will each offer products available for purchase, demos, talks and consultations on rotation, changing every two weeks according to a new theme. The first theme was Babes Who Beach, which featured a variety of clothing, swimwear, and accessory brands, earlier this month. The current theme is Sun's Out, Mom's Out, showcasing environmentally sustainable clothing, matching mommy and me apparel and more until July 3. Upcoming themes will include Summer Self Lovin', and Werk It. Featured brands include; Isa and Bella, a line of organic baby clothes; Suetables, a highly personal jewelry line; Lines of Elan, a Canadian beauty essentials company, and more. The event also coincides with the launch of the Toronto-based company’s first-ever makeup line and digital service fast beauty bar. 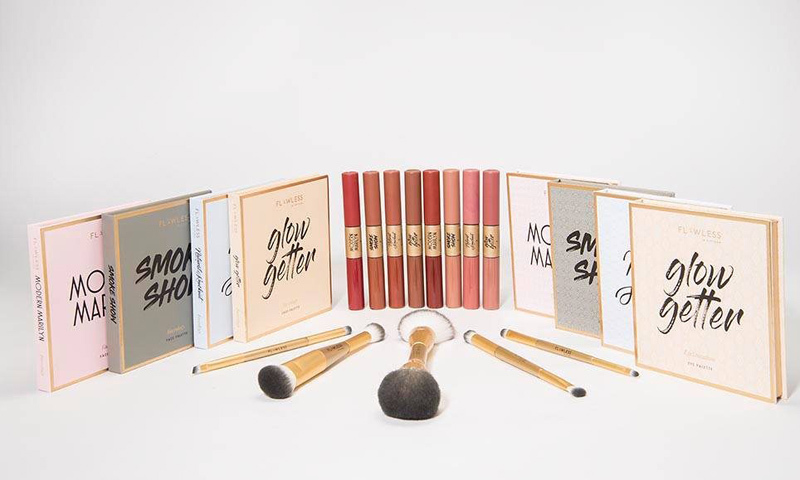 The 22-piece makeup collection launched at the pop-up on June 7 along with its new digital service where visitors can virtually try-on the makeup in the fast beauty bar, followed by a fifteen-minute application with an experienced artist. The 3,600-square-foot pop-up retail environment at Yorkdale, baptized Concept, first opened in April 2017 and is dedicated to giving innovative brands a retail area at Canada’s most successful shopping centre in order to further help them reach consumers. The 0.6 x Flawless by Friday pop-up marks the sixth iteration of Yorkdale’s Concept space. Flawless by Friday was founded by Toronto-based beauty expert Brittny Robins in 2015 and is backed by retail veteran Bonnie Brooks.